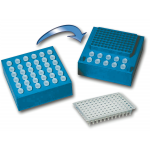 Contamination control and PCR process repeatability is ensured with Esco's PCR Cabinets. Each Esco PCR Cabinet provides ULPA-filtered vertical laminar flow, the best laminar flow filter available in the world (99.9999% efficiency) to purge the work area of contaminants between amplifications and during preparatory procedures. An integrated UV lamp enables rapid decontamination of the work zone between experiments and prevents cross-contamination. 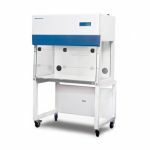 Esco PCR Cabinets offer premium performance and optimal sample protection for a price that is competitive with conventional "dead" air boxes. The Airstream® PCR cabinets apply our renowned clean air expertise and decades of experience to deliver "best-in-the-world" technology to protect your PCR reaction.